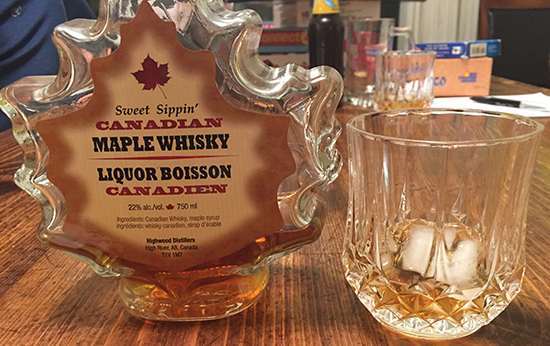 Bottle Claims – pure Canadian Rye Whisky and maple syrup, no other additives or preservatives. I was skeptical about this, just like I’m skeptical of just about anything that has maple flavour in it. It’s one of those things that people just do too often to try to make something not so great sound Canadian. In this case, it worked out really well. This stuff was awesome to sit and sip. It was like drinking maple syrup, but not too sweet. The whisky added a bit of bite, but you couldn’t really tell it was there. The maple flavour was all that rolled around on the tongue. It was a big hit around the games table, everyone enjoyed it – and there was only mild complaining when it was no more.